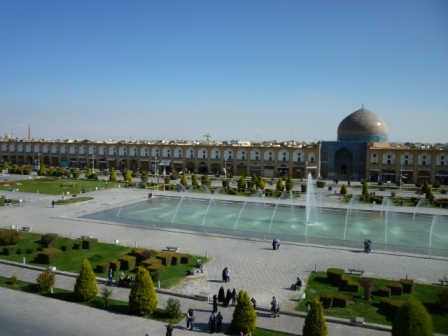 Iran Reopens To U.S. Hunters!!! This morning, Esrafil Shafiezadeh, the owner of Iran Jasmin Safaris, informed Ken Wilson that he had just received a call from the ministry confirming that Iran is now ready to issue visas to American hunters. 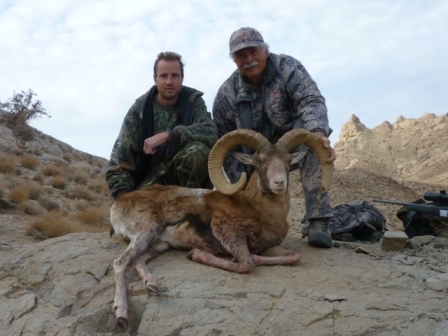 Ken and Ryan Wilson were the last U.S. citizens to hunt Iran in November 2011. In fact, the ministry announced the closure during their hunt, but they were allowed to finish whatever they had booked before departing Iran with their trophies. Ken departed with his Kerman Sheep, Esfahan Mouflon, and Red Sheep, and both Ken and his cameraman, Ryan Wilson, departed with the tusks from their 500-pound Wild Boars. Based on the preceding, Shunneson & Wilson is now booking Iran for 8 species of Sheep, 2 of Ibex, plus Gazelle and Wild Boar for the months of October 2014 through February 2015. Please contact us regarding the information required to obtain your hunting visa plus pricing and the payment schedule. Please note that 3 species of Sheep will be on very limited license.